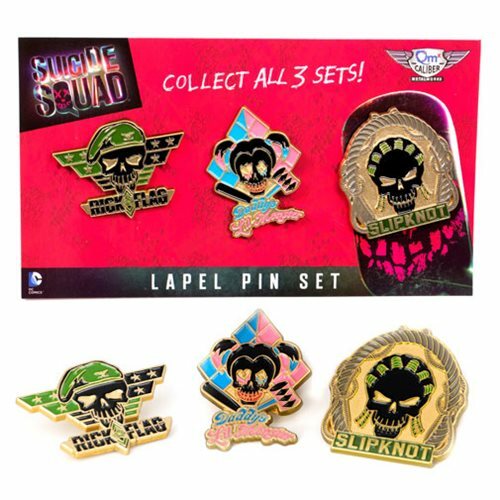 Get ready for action with the Suicide Squad Lapel Pin Set 3! This set of 3 pins fastens to yoy clothing with a butterfly clutch pin back. Includes 3 pins: Slipknot, Harley Quinn, and Rick Flag. Pins measure up to 1 1/2-inches in height. Ages 13 and up.